It was a cold late December afternoon when I first realized how far my son’s mental health had declined. A chain of events led us to the hospital and an extended wait in the comprehensive psychiatric emergency department. In a matter of months, my son had gone from a cheerful, happy-go-lucky teen to dark, dank and angry. Suddenly overnight I became a Caregiver. When my son was first hospitalized and even in the subsequent months and hospitalizations that came later, I did not necessarily look at myself as a Caregiver. But that is exactly what I was. I was making the majority of decisions about my son’s care, managing his treatment plans and working daily to ensure that all his needs were being met. I was also working a full time job, parenting another child and trying to hold my “normal” life together all at the same time. After a few months of this crisis, I realized that I needed additional support. Yet when I sought out groups or peers that could give me advice, lend a hand or listen to my fears and concerns, I found none. This became the consistent theme throughout the 18 months that my son was in crisis. What I found was the longer he was in crisis, the less support there seemed to be. When my son finally started to stabilize and was on the path to his own recovery, I made a decision to become a resource for other parents and Caregivers looking for support. I had learned so many lessons, tripped often into potholes and pitfalls I never saw coming and had recognized how important it was to have support during crisis times. 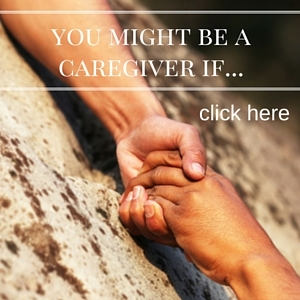 I longed for connection with other Caregivers, even after I’d come through the challenging times. When I could not find the support I was looking for I decided to create a space for others to find support. Starting with the launch of my blog, Far From Paradise, I began sharing my stories, lessons learned, heartbreak and successes from walking the Caregiver’s path. Through this platform, I’ve formed many personal connections and have been able to assist those looking for help. My International Best Selling Books, are available on my website, through Amazon and Barnes & Nobles. 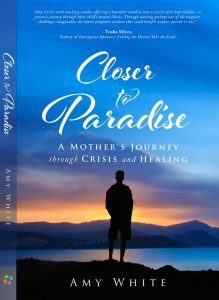 My recent book, Closer to Paradise: A Mother’s Journey through Crisis and Healing, chronicles the out of control roller coaster ride through the mental health system as I worked to support my son and myself through his life-threatening illness. My first book Bold is Beautiful Breakthrough to Business Strategies can be read like a “how to” manual on taking your life and business up a few notches and truly living the life of your dreams. Do you love social media like I love social media?? Come join our fantastic Facebook community or join me on Twitter! Oh and I completely love Instagram – check out what inspires me! Amy White is an Intuitive Coach and International Best-selling author who transitioned out of Corporate America, after her personal experience supporting her teenage son through a terrifying mental health crisis, to pursue her passion coaching and guiding those who are ready to thrive again in their lives. Amy writes the blog Far From Paradise; sharing the lessons, challenges, insights and heartache, as well as her own personal healing journey, following her son’s breakdown. She hopes that her story about fighting stigma, navigating the mental health services maze and focusing on her own emotional healing will provide a beacon of hope and light for those who are working to support a loved one or themselves on the path to health and wellness. Her recently released book “Closer to Paradise: A Mother’s Journey through Crisis and Healing” chronicles her wild ride through the behavioral health care system as she fought to support her son and herself through this live-threatening experience, and tells the story of how she chose to use this experience to transform her life.